With over thirty years of experience designing and building kiosks, we know what works in school, college, and university settings. 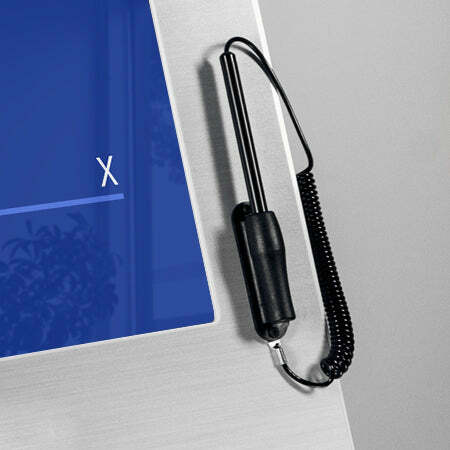 Our kiosks present your tablet at the right height and angle for viewing and touch interaction by a variety of users and are fully ADA compliant. 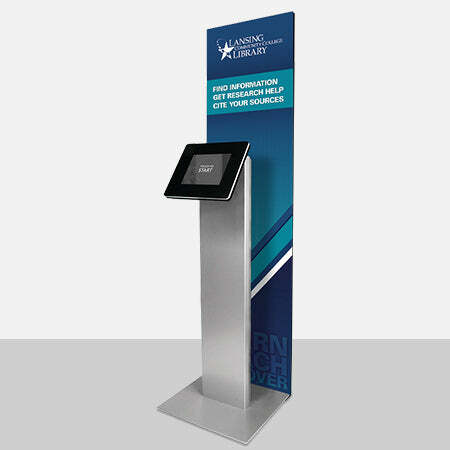 Our kiosk bases are made from cold-rolled steel and are professionally powder coated for a beautiful finish that will last for years to come. Our heads are made from shatterproof thermoplastics known for their durability and scratch-resistance. With models available for floor, countertop and wall mounting, we have an enclosures for any space. Each model secures your tablet under lock and key and can be permanently mounted through hidden bolt holes in the base. We're the top choice for schools nationwide! Large campuses can often be daunting for visitors to navigate. 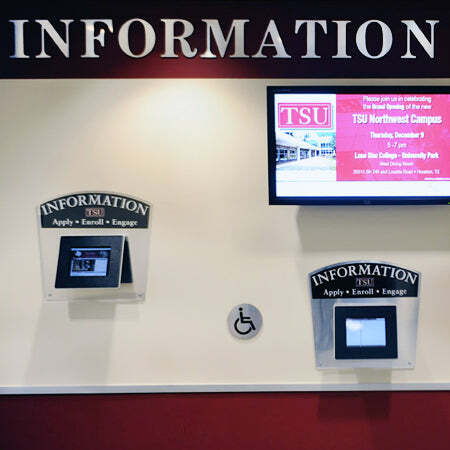 Tablet kiosks can be used as interactive directories, allowing visitors to access maps, directions, and additional information about your facilities. They can also be used to supplement traditional admission tours, providing on demand information when tour guides aren’t available. 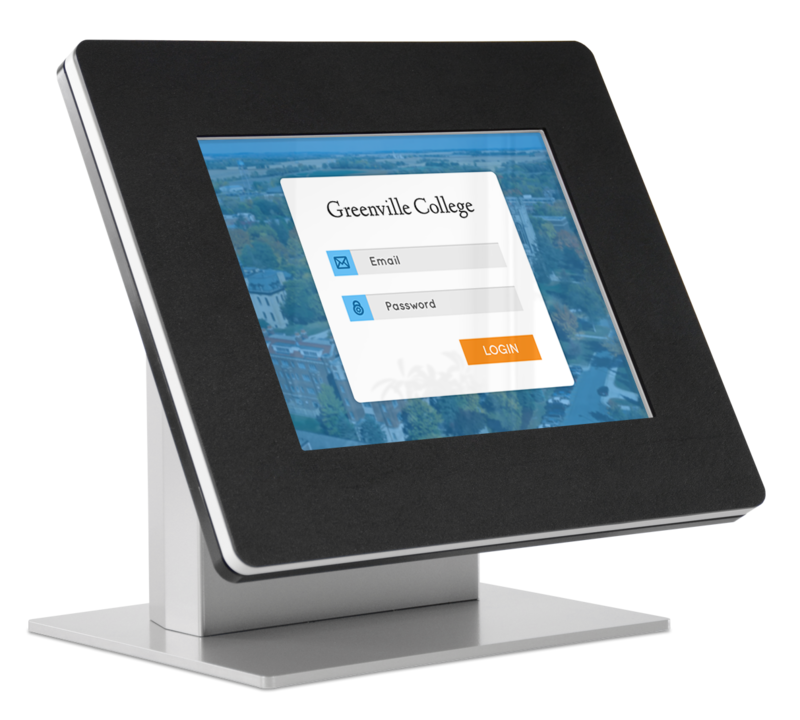 Streamline the registration process with tablet kiosks, allowing students to register independently on site without staff assistance. 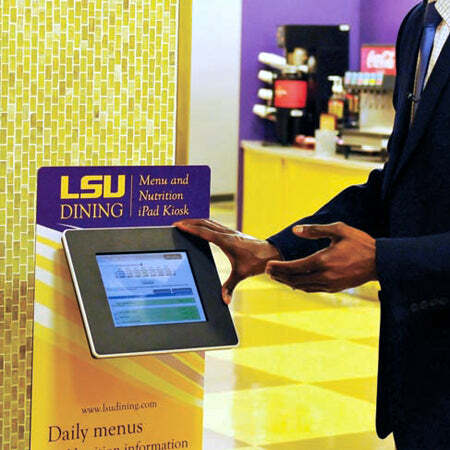 Set up tablet kiosks at campus services so students can check in when they arrive. Check-in kiosks can track who should be seen next, notify relevant staff members automatically, and help manage wait times. Simplify fundraising efforts by allowing donors to swipe a card at events or during a visit to the alumni center, rather than relying on expensive mailings with poor response rates after the fact. Maximize the use of shared spaces (like practice studios or study rooms) using tablet kiosks. Easily see which spaces are currently reserved or occupied and schedule future reservations on location. From high-quality signage and branding options to peripherals like card readers and thermal printers, our kiosks can be customized for the needs of any project. Need help with a potential project? Selecting a kiosk vendor can be a big decision. We’ve highlighted some important areas to consider in our downloadable kiosk evaluation worksheet below. We’re here to help if you have a question or need something specific. 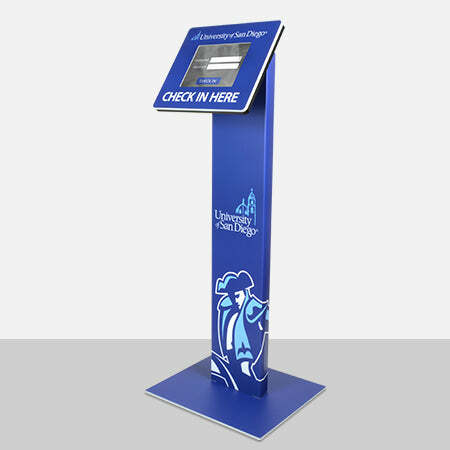 Just let us know and we can help you find or create the perfect kiosk for your next project.